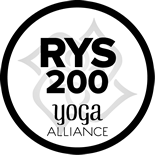 "I almost didn't want to write any review.. because I've been to many studios in the past that made me anxious with how crowded their classes were, but I can't help saying that this place is the best if you're interested in the relaxing, calming type of yoga-- not the intense or quick/workout type, which I personally can't stand. So, this studio always has just enough space where I don't feel squished, and they are the nicest ladies ever. You always have to try several teachers though to find the one whose style you love the most, which I did 🙂 I love their Gentle Yoga. I love how all their teachers have been doing it for decades. I dislike many younger girl teachers who just kind of bark and yell instructions at you in a bored voice, like their heart isn't in it, like in many big cities I tried classes at. Even at classes said to be "gentle", I almost never did yoga again because of them. But I found this. The teachers here = sweet, helpful, and great people who really care about their students and are the best I've ever had. If I were a teacher I'd want to be just like them. I went here when I was beyond depressed, stressed out, and in unexplainable pain, and it helped me feel a little better." 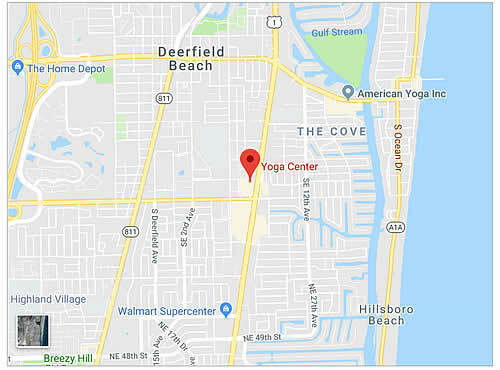 "This is the best yoga center in South Florida. If your looking for true Hatha Raja yoga experience, both the philosophy and the asana this is the place to go. This center has been here for years. The teachers are all excellent and well trained in both yoga philosophy and the best teaching techniques. No gym yoga here. They offer an excellent teacher training program as well as many additional activities to promote the yogi lifestyle. This center is truly a life changing experience . I highly recommend you give a class a try." "I felt very comfortable and welcome here as an absolute beginner, though many students have been practicing here for years. Very peaceful atmosphere. They are legit, truly an establishment in the yoga community, not trying to cash in on any trends." "I was visiting family in South Florida and was hoping I could find a good yoga place. A friend recommended Yoga Center and I was so pleased with the place! Even as an out of towner I felt like I'd been going there for years. An excellent, warm environment and great people."